Ever found yourself wondering if, or how, you can recycle stuff other than bottles and cans but had no one to ask? Whether you’re a conscientious recycler, or even just a casual one, the chances are you’ve had this experience. And what happened next? Did you sling it in the general waste? Or did you just hope for the best and put it in the mixed recycling anyway? Recycling apps promise to make these moments of ignorance a thing of the past. They aim to put the information you need about recycling at your fingertips in those key decision moments. In this article we look at some of the new recycling apps on offer in Australia. Do We Really Need Recycling Apps? You can find out a lot through Google if you’re prepared to put in the time to hunt around. But that’s not exactly quick and easy. There’s so much irrelevant and even conflicting information to wade through. So if you’re busy, or just happen to be one of those weirdos who doesn’t find council website exciting, there’s a good chance you’ll be sending stuff to landfill when it could be recycled. Worse, if you follow the waste stream guidelines on many council recycling bins you can end up sending more waste to landfill than necessary. That’s because many councils themselves can’t process things like batteries, tyres, mobile phones, unwanted electronics, clothes and food through their primary waste streams. To recycle this sort of stuff we depend on special services such as local drop off centres and volunteer organisations like Vinnies and Salvos. What’s more, practices can vary a lot from one state or local government catchment area to another. It’s in helping us to learn about and locate all these special services that apps have the potential to make a big difference. The New Recycling Search Engines? Sustain Me is an exciting new app developed by fellow uni students and waste warriors, Eleanor Meyer and Stephen Halpin, from Melbourne. 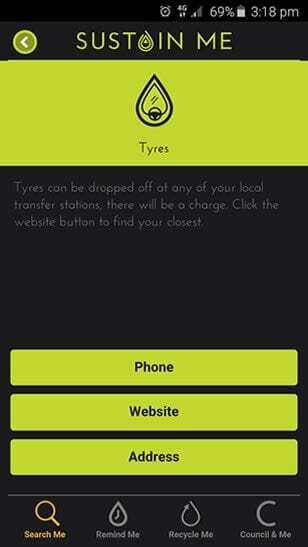 The app functions as a localised search engine for recycling anything you can think of. ive it your address, tell it what you want to recycle and it gives you a list of the best options for your location. But it’s more than a recycling search engine. Sustain Me also helps you keep track of what you’ve recycled and even reminds you when to put the bins out in your street. Just like a web search engine, the app draws on information from a series of databases to which the Sustain Me team is constantly adding new data. Using information from local authorities as a starting point, they’re gradually adding layer upon layer of intelligence about additional local recycling services. Some areas of Victoria are currently participating in a trial scheme to put food waste in their green garden waste bins for composting. If you happen to live in one of those areas the app will let you know and advise you to put food waste in your green bin. The Sustain Me team is also tackling the laborious task of adding data on op shop locations. The service is still very new. It was only launched in March 2016 so there are still a few gaps, but it’s constantly improving. The organisation behind Sustain Me now operates as a social enterprise and has a list of heavyweight partners including Visy, The Victorian State Government, supply chain management company Infoactiv, and a growing number of local councils. If your organisation offers a recycling service and would like to be indexed by Sustain Me you can get in touch with them through their website. Recycle Smart is another useful tool that provides detailed recycling information, sourced from over 500 Australian local authorities. 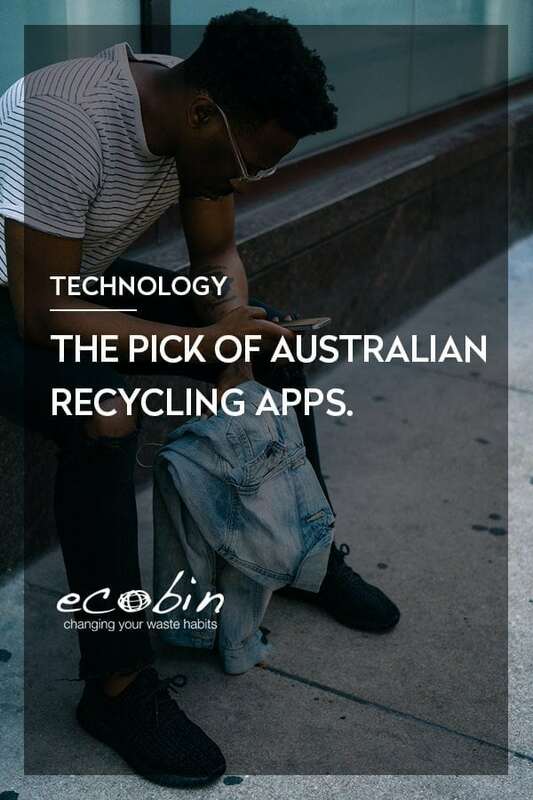 It’s basically an app version of Australia’s top recycling directory RecyclingNearYou.com.au. It’s provided by Planet Ark, Australia’s foremost non-profit recycling organisation. In turn, Planet Ark is sponsored by some of Australia’s larger retailers, food producers and paper manufacturers. First and foremost the app functions as a way of navigating information provided by local councils about its primary waste streams. 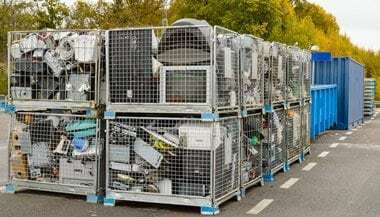 It’s good for making sure your waste goes in the right council bin when in doubt, but will also help you find commercial recycling specialists such as local scrap metal and auto scrap dealers. On testing we did find some of the instructions a bit confusing however. Perhaps this is down to the council data they rely. For instance on asking what to do with foil, it told us that foil is recyclable but that it should go in the general waste bin. If clear instructions for using your council bins is your main reason for using the app, then it works well. However, anyone wanting to go the extra distance will find it stops short of helping them reach some non government organisations that can help, or finding other solutions. If also told us to put coffee grounds in the general waste rather offering advice on composting or putting them on flower beds. The same went for unwanted clothing. Rather than telling us about the local Salvos or Vinnies it will recommend putting clothes in the general waste. 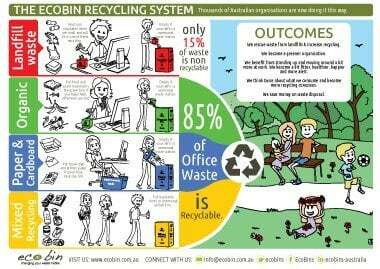 Recycle Right is a campaign sponsored by the Western Australian government to promote better recycling in the workplace and at home. Their Recycle Right app offers similar functionality to Sustain Me and RecycleSmart, but for WA only and with a particular emphasis on Perth. Like Sustain Me, it uses GPS technology to help you locate your nearest facilities for recycling batteries, car parts, hazardous waste and charity shops. It also offers a couple of other nice features – recipes for leftover food and ideas for taking part in community and nationwide initiatives. If you’ve ever thought about taking the kids around a local recycling facility Recycle Right will point you in the right direction. If you live in Perth, this one may prove the best of the bunch, because right now it’s the only app that provides information on battery recycling points. Battery recycling is mandatory in Western Australia. There are too many council apps to make reviewing them possible. No doubt they all have some good features. But we believe that contributing to the development of shared nationwide resources like Sustain Me or Recycle Smart makes a lot more sense. It’s hard for councils to become software innovators and even harder for them to get meaningful numbers of users. On the other hand, shared funding from many local councils would give apps such as Sustain Me and Recycle Smart a very good chance of growing to become truly excellent resources that serve the whole country for many years to come. We’re becoming a lot more conscious of the need to recycle food these days and there are now a couple of Australian apps to help with that. Love Your Leftovers, sponsored by the NSW state government is a recipe app. It helps keep leftovers out of the bin by giving you ideas for how to you turn them into delicious new meals. Currently it’s only available for iPhone. The Yume app helps restaurants, hotels and food retailers with large quantities of leftover food either sell it at deep discounts, or donate it to charities. With Australian business sending around 1.4 million tonnes of food to landfill every year, this is a fabulous initiative and we hope to see it grow in the years to come. If you’re a food outlet and would like to stop wasting food you can sign up here: Yume app food outlet signup. 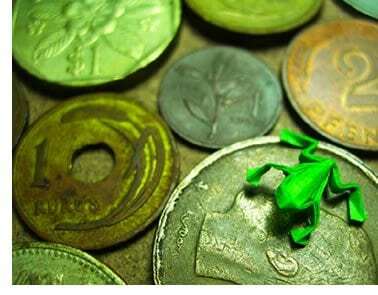 Each one has its quirks, strengths and weaknesses and it’s still early days for all of them. Even so, they all help solve very real recycling problems and are likely to improve as more people use them. If you’re a food outlet and want to stop wasting food you should definitely take a look at the Yume app. 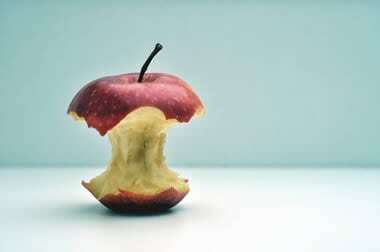 Anyone who owns an iPhone, who struggles with food waste at home should consider Love Your Leftovers too. Of the search tools, we most like the extra layers of intelligence that Sustain Me provides. However, we ran into a few more technical issues with it than the others. In testing we found that none of them worked on all three of the Android devices we tried. In fairness, a couple of the test devices were quite old. But then again these apps are all about sustainability, so it would be nice not to have to upgrade older phones to make use of them. If you just want advice on how to use your bins and where to find commercial recyclers Recycle Right could work well, but if you want to go the extra distance Sustain Me is the one to try first. Despite the amount of hard work that’s gone into them, all of these apps are free and all make genuine efforts to help us do the right thing. As such, it was sickening to see some low star ratings and mean comments in the Google App store. For heaven’s sake, if you do run into problems with one of these apps get in touch with the developers and give them some helpful feedback. Don’t just put everyone else off because you’re bummed with a bug. Each one has the potential to make us better recyclers and we look forward to seeing them develop. One feature we’d like to see in all of them is some kind of system to let the app know a bit more about the user so it can tailor advice. Business and home users have different needs. What’s more, anyone with zero-waste aspirations would want quite different advice to someone who just wants to put stuff in the right bins.